The Delta Reform Act of 2009 (Water Code Section 85066) requires that the Delta Stewardship Council adopt a Delta Plan (the Plan) to achieve the coequal goals of providing a more reliable water supply for California and protecting, restoring, and enhancing the Delta ecosystem (Water Code Section 85000). In the time since the Plan was adopted in 2013, a significant shift in State planning for Delta ecosystem protection, restoration, and enhancement has occurred, prompting review of the Delta Plan to examine whether its strategies are still suited to achieve the ecological goals of the Delta Reform Act. 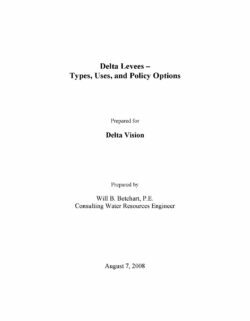 As such, the Delta Stewardship Council (Council) is developing an amendment of the Plan’s Chapter 4, Protect, Restore, and Enhance the Delta Ecosystem. Council staff are reviewing the best-available science to inform amendment of Chapter 4 of the Delta Plan. To support this effort, Council staff have developed three science synthesis papers. This paper focuses on the effects of climate change in the Delta and is accompanied by two other papers focused on the Delta ecosystem (terrestrial and aquatic resources) and restoration. 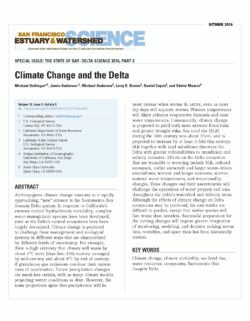 Climate change is of interest for the Chapter 4 amendment given recent rapid advancements in research on climate change and its effects on the Delta ecosystem that have occurred since the Delta Plan was adopted in 2013 (Dettinger et al. 2016). Climate change has the potential to significantly affect the Delta ecosystem by raising air and water temperatures, changing the timing and volume of flows into and through the Delta, increasing tidal inundation with sea-level rise (SLR), and increasing salinity intrusion into the Delta. 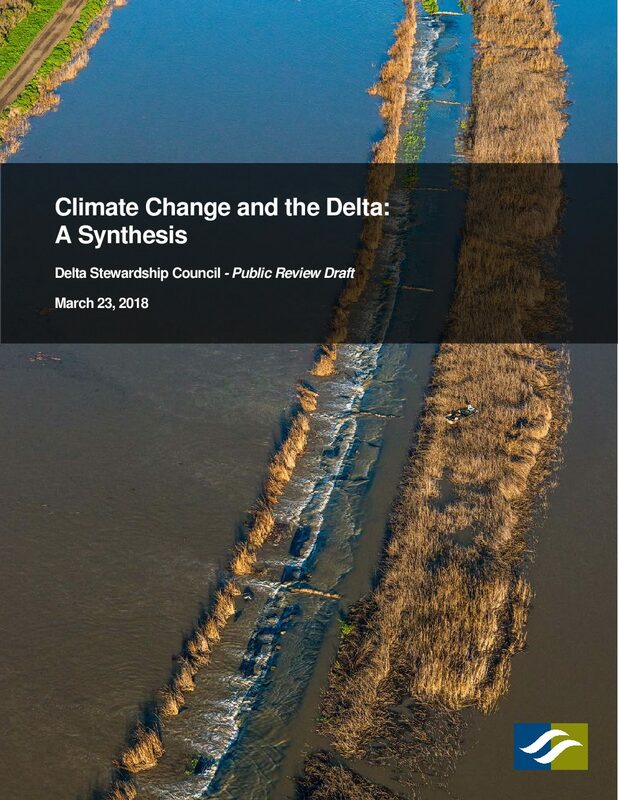 Climate change is recognized as a global stressor in Chapter 4 of the 2013 Delta Plan, but the effects of climate change on Delta ecosystems are discussed only briefly and with limited consideration of management strategies that address the issue. Chapter 4 of the Delta Plan identifies five key stressors to the Delta ecosystem and core strategies for addressing each. Climate change has interrelated effects on all five core strategy areas: Delta flows, habitat, water quality, non-native 28 species, and hatcheries and harvest management. 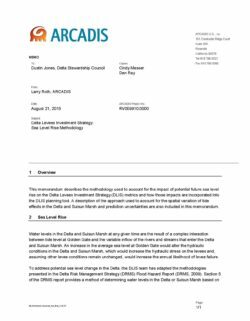 The Delta Reform Act specifies consideration of “the future impact of climate change and sea-level rise” (Water Code Section 85066), and identifies a restoration timeline horizon of 2100 (Water Code Section 85302). 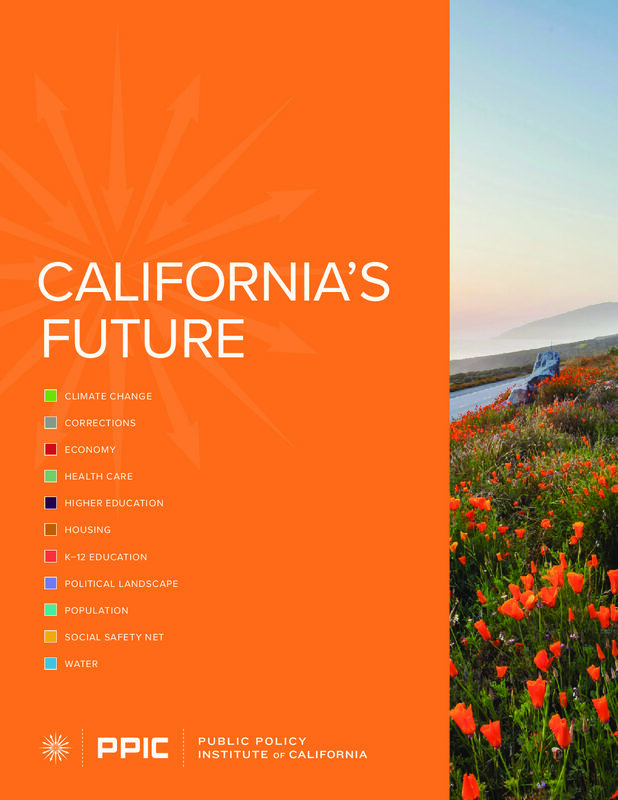 More generally, Executive Order B-30-15, signed by Governor Brown in April 2015, requires that State agencies incorporate climate change into planning and investment decisions, and that they prioritize natural infrastructure and actions for climate preparedness. 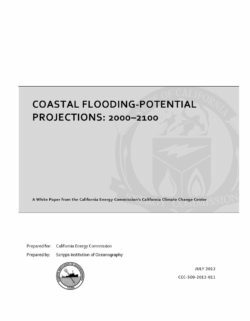 The change in flooding potential along the California coast over the twenty?first century was estimated from both ocean wave and sea level rise projections produced from global climate model data. Changes in flooding potential were inferred from changes in wave runup (the vertical height reached by wave?driven water levels), which depends on the instantaneous sea level (or still water level), beach slope, and wave height and wave period. The still water level is the superposition of regional (or relative) mean sea level, the tide, and non?tide sea level fluctuations. Non?tide sea level fluctuations include both the steric response associated with El Niño–related variability that can persist up to a year or more, and local storm–forced variability (storm surge). The potential for greatest coastal flooding occurs when extremes in waves and still water level occur nearly simultaneously. Wave activity provides the primary driving force for coastal flooding. Wave model significant wave height (Hs) and non?tide sea level projections were generated for a seven global climate model simulations. Comparison of the Hs and nontide projections with wave model hindcast Hs and observed non?tide fluctuations suggest that the characteristics and incidence of extreme Hs and non?tide fluctuations will not increase appreciably over the twenty?first century. Thus, because astronomical tide?forcing will not increase, increases in relative mean sea level will largely determine the potential for increased ocean?driven flooding along the California coast. If relative mean sea level along the California coast reaches global mean sea level rise projections associated with climate change, extreme flooding events expected to occur once in about 100 years under stationary relative mean sea levels will occur annually. The authors appraised factors and processes related to human activities and high water, subsidence, and seismicity. Farming and drainage of peat soils over time has caused a gradual sinking which contributed to internal levee failures. Although these subsidence rates have decreased with time, they still contribute to levee instability. Additional data is needed to assess spatial and temporal effects of subsidence caused by peat thinning and deformation. Since the mid-1970s large-scale, State investments in levee upgrades have increased conformance, however accounts continue to conflict on how these investments correspond to the numbers of failures. Both modeling and history suggest that the projected increases of high-flow frequency associated with climate change will increase levee-failures rates. Quantification of this increased threat requires further research. A reappraisal of seismic threats resulted in updated ground motion estimates for multiple faults and earthquake occurrence frequencies. The immediate seismic threat, liquefaction, is the sudden loss of strength due to an increase in the pressure of the pore fluid and corresponding loss of contact forces. However, levees damaged during an earthquake that do not immediately fail, may eventually breach. Consequences for future levee failure are estimated to cost up to billions of dollars. The analysis of future risks will benefit from more detailed descriptions of levee strength and upgrades, consideration of subsidence, climate change, and earthquake threats. Ecosystem benefits of levee habitats in this highly altered system are thin. 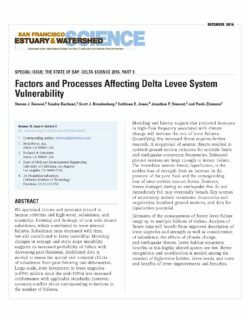 Better recognition and coordination is needed among the creation of high value habitats, levee needs, costs, benefits of levee improvements, and breaches. Scientific understanding of sea-level rise is advancing at a rapid pace. Projections of future sea-level rise, especially under high emissions scenarios, have increased substantially over the last few years, primarily due to new and improved understanding of mass loss from continental ice sheets. These sea-level rise projections will continue to change as scientific understanding increases and as the impacts of local, state, national and global policy choices become manifest. New processes that allow for rapid incorporation of new scientific data and results into policy will enable state and local agencies to proactively prepare. The direction of sea level change is clear. Coastal California is already experiencing the early impacts of a rising sea level, including more extensive coastal flooding during storms, periodic tidal flooding, and increased coastal erosion. The rate of ice loss from the Greenland and Antarctic Ice Sheets is increasing. These ice sheets will soon become the primary contributor to global sea-level rise, overtaking the contributions from ocean thermal expansion and melting mountain glaciers and ice caps. Ice loss from Antarctica, and especially from West Antarctica, causes higher sea-level rise in California than the global average: for example, if the loss of West Antarctic ice were to cause global sea-level to rise by 1 foot, the associated sea-level rise in California would be about 1.25 feet. New scientific evidence has highlighted the potential for extreme sea-level rise. If greenhouse gas emissions continue unabated, key glaciological processes could cross thresholds that lead to rapidly accelerating and effectively irreversible ice loss. Aggressive reductions in greenhouse gas emissions may substantially reduce but do not eliminate the risk to California of extreme sea-level rise from Antarctic ice loss. Moreover, current observations of Antarctic melt rates cannot rule out the potential for extreme sea-level rise in the future, because the processes that could drive extreme Antarctic Ice Sheet retreat later in the century are different from the processes driving loss now. Probabilities of specific sea-level increases can inform decisions. A probabilistic approach to sea-level rise projections, combined with a clear articulation of the implications of uncertainty and the decision support needs of affected stakeholders, is the most appropriate approach for use in a policy setting. This report employs the framework of Kopp et al. (2014) to project sea-level rise for three representative tide gauge locations along the Pacific coastline: Crescent City in northern California, San Francisco in the Bay area, and La Jolla in southern California. These projections may underestimate the likelihood of extreme sea-level rise, particularly under high emissions scenarios, so this report also includes an extreme scenario called the H++ scenario. The probability of this scenario is currently unknown, but its consideration is important, particularly for high-stakes, long-term decisions. Current policy decisions are shaping our coastal future. Before 2050, differences in sea-level rise projections under different emissions scenarios are minor but they diverge significantly past midcentury. After 2050, sea-level rise projections increasingly depend on the trajectory of greenhouse gas emissions. For example, under the extreme H++ scenario rapid ice sheet loss on Antarctica could drive rates of sea-level rise in California above 50 mm/year (2 inches/year) by the end of the century, leading to potential sea-level rise exceeding 10 feet. This rate of sea-level rise would be about 30-40 times faster than the sea-level rise experienced over the last century. Waiting for scientific certainty is neither a safe nor prudent option. High confidence in projections of sea-level rise over the next three decades can inform preparedness efforts, adaptation actions and hazard mitigation undertaken today, and prevent much greater losses than will occur if action is not taken. 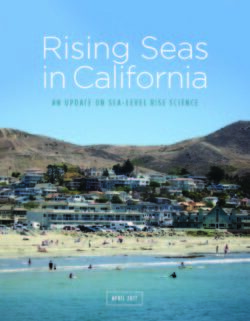 Consideration of high and even extreme sea levels in decisions with implications past 2050 is needed to safeguard the people and resources of coastal California. Knowledge of the status and trends of sediment supply to San Francisco Bay is critically important for management decisions about dredging, marsh restoration, flood control, contaminants, water clarity (in relation to primary production), and sea level rise. Several sitespecific studies of sediment supply to San Francisco Bay have been conducted, but no synthesis of recent studies is available. 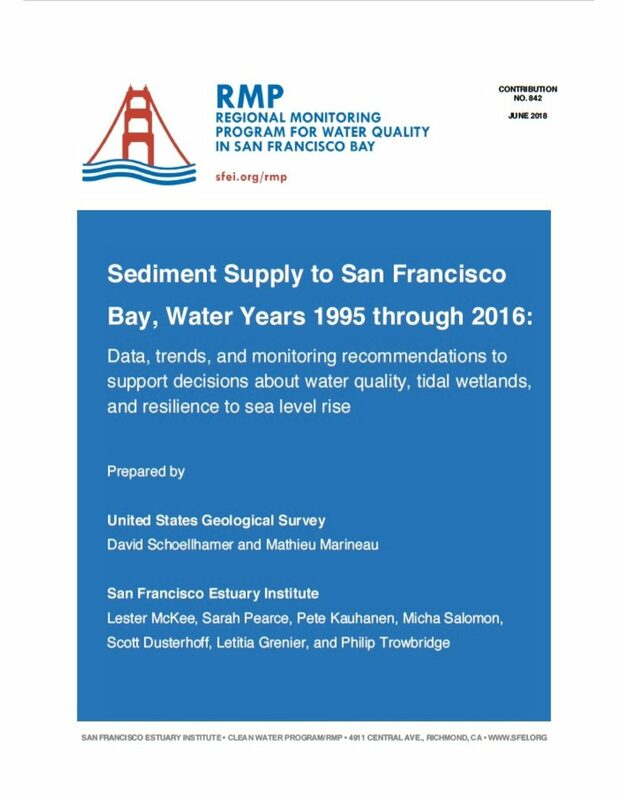 The purpose of this report is to synthesize the best available data and knowledge to answer a few of the key study questions related to sediment supply to the Bay (listed below). 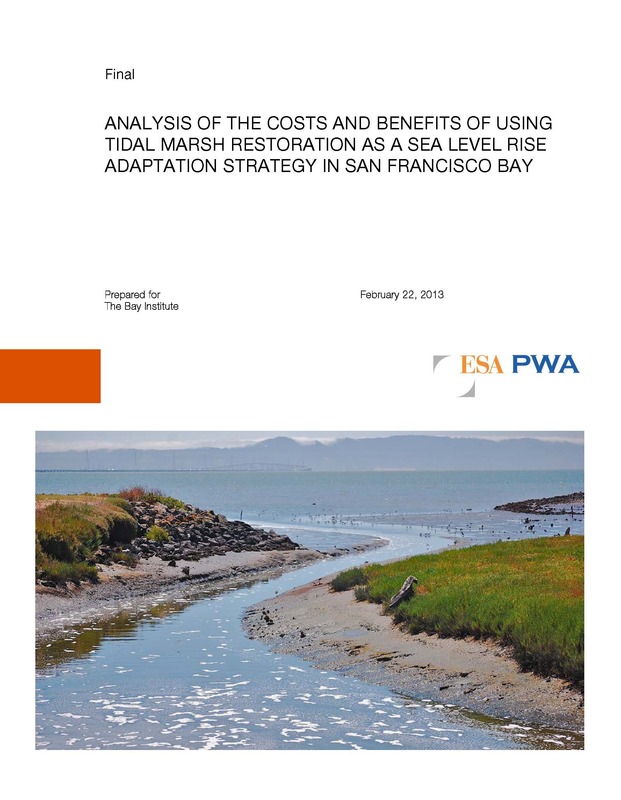 This synthesis report was prepared jointly by the Regional Monitoring Program for Water Quality in San Francisco Bay (RMP) and the U. S. Geological Survey (USGS) with funding from both organizations. The project is meant to be a step in the development of a more comprehensive sediment management and monitoring strategy for the Bay.